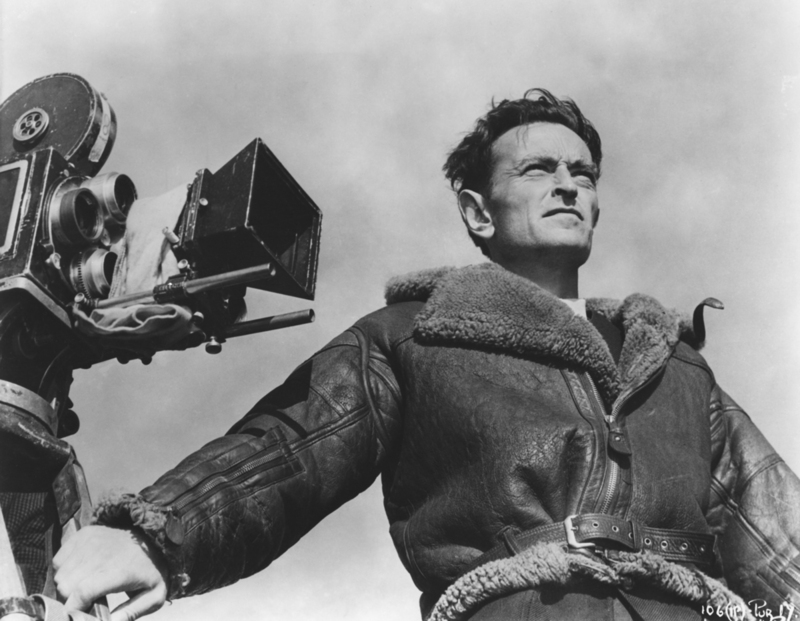 David Lean (1908-1991) was one of Britain’s greatest film directors. He captured the public imagination with films like Brief Encounter (1945) and Lawrence of Arabia (1962) and his visionary technique influenced a generation of directors, including Steven Spielberg and Martin Scorsese. At the beginning of his career in January 1930, David Lean left making features to join the newsreels as a cutter. He was drawn into a world of rapid production, on the cusp of the sound revolution that would soon encompass the film industry. In this experimental environment he learnt how to cut film and turn actuality into ten minute dramas. Watch a selection of archive films from the history of Gaumont Sound News and chart the development of the newsreel from ‘news with sound’ to ‘sound news’. Of particular interest are some of the first British pre-election addresses of the sound era, including Stanley Baldwin, Arthur Henderson and Oswald Mosley (released October 1931). Gaumont advertise the imminent production of Gaumont Sound News, a sound version of Gaumont Graphic. Gaumont release the 'talkie' Derby but the newsreel runs into synchronisation problems using British Acoustic system and is delayed. Test versions of Gaumont Sound News shown at trade shows. First edition of weekly Gaumont Sound News released focusing on Armistice Day. Bi-weekly longer ‘super edition’ released alongside ‘ordinary’ edition. Required an expansion of the editorial team and likely that Lean joined now. Eight men are filmed performing the a traditional Basque dance that is said to be a thousand years old … on a tennis court!. First National Pathe release Pathetone Weekly. E.V.H. Emmett, later the voice of Gaumont Sound News, does his first commentary on a story concerning Princess Elizabeth’s birthday presents. Brooklands was the first custom-built banked motor race circuit in the world and opened in 1907. In 1926 it hosted the first British Grand Prix. This item shows the circuit in its heyday, when it could hold crowds of over 200,000 people. The Lord Mayor of Budapest arrives by coach followed by shots of the choir singing outside in the quadrangle of the hospital to assembled patients, in beds and wheelchairs. This story shows the 1930 air display at Brooklands including an early parachute display and low passes over the crowd. Pathe Super Sound Gazette released bi-weekly. E.J.H. Wright, editor of British Movietone News resigns to join Paramount. Universal release British Talking News, first talking newsreel recorded on disc. The Avenue Pavillion, Shaftesbury Avenue is converted into the British Movietone News Theatre (owned by Gaumont), later Shaftesbury Avenue News Theatre. Paramount start to advertise Paramount Sound News launch in March 1931. The Phoenix Theatre opens in 1930 with the premiere of Noël Coward’s Private Lives. Coward himself stars alongside Gertrude Lawrence, Adrienne Allen and a young Laurence Olivier. In this item Mr Cochran, the producer, opens champagne and makes a speech to crowds outside the theatre. Keith Ayling, editor of Gaumont Sound News resigns to join British Movietone News. He is replaced by R.S. Howard. This item shows the actress Madeleine Carroll visiting a Yorkshire colliery prior to her making the film BLACK DAMP. In 1930 black damp made headlines when it killed 200 miners in Millfield, Ohio. Super Cinema in Charing Cross Road is converted into the Tatler Theatre to show news and shorts. Programmes run for 67 minutes with tickets costing 6d and 1s. David Lean follows Keith Ayling to British Movietone News. Ex-Queen Sophie of Greece and her daughter Princess Helene with relations and friends in the garden of her house near Ascot. These include Princess Irene, younger sister of Queen Sophie, Mrs Horlick and ex-King George. The National Government was a coalition of the National Labour Party, Conservative Party, Liberal Party and Liberal National Party. This group picture of the Cabinet includes Stanley Baldwin, Ramsey MacDonald, Sir Herbert Samuel (Home Secretary), Lord Sanky (Lord Chancellor), Sir Samuel Hoare (Secretary of State for India), Lord Reading (Foreign Secretary), JH Thomas, Neville Chamberlain (Minister of Health) and Sir Philip Cunlippe-Lister (President of Board of Trade). Stanley Baldwin making a speech concerning budget deficits. A pre-election speech by ‘Jim’ Thomas, whose support of the National Cabinet enforced his resignation from the NUR. A pre-election speech by Arthur Henderson. In 1900 he was one of the 129 union leaders to sign a motion by Keir Hardie which led to the foundation of the Labour Party. He served three short periods as Labour leader before chairing the League of Nations Disarmament Conference and winning a Nobel Peace Prize in 1934. Oswald Mosley left the Labour Party in 1931 to form the New Party – who faced a devastating defeat at the general election the day after this issue was released. Mosley went on to found the British Union of Fascists (BUF) in 1932. George Washington’s anniversary celebrated at Sulgrave Manor, Northamptonshire, his ancestral family home. At the garden fete, Viscount Lee of Fareham makes a short speech about Washington. The final issue of Gaumont Sound News is released, CHRISTMAS REEL 1933. From January 1934 the series was issued under a new title Gaumont British News with Leonard Castleton Knight as its editor.